The year 2015 is a tough year for grain farmers in South Africa. The summer season was very dry and the winter season’s rain came very late. The negotiations regarding land reform are progressing very slowly. For grain farmers, this is the time of character building. The characteristics that are needed for a sustainable grain farmer of class are: perseverance, integrity, master planner and faith. 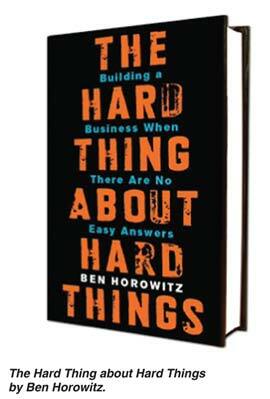 I read the book “The Hard Thing about Hard Things” recently. The author is the CEO of a software company in Silicon Valley (USA). He explains the tough times he faced during the ups and downs of the technological developments and the financial difficulties he had dealt with. It reminds me of the similar situations grain farmers are facing in this country, like planning a crop with no or very little access to finance, dry planting conditions and equipment that has seen better days. What I missed from this author was his interaction with mentors. In difficult times it pays one to get as much as possible advice from mentors – people who went through these types of difficulties more than once and have succeeded. It is not the talkers that you should consult, but those individuals that can show the fruit of perseverance and self-discipline to keep costs down when it is going tough. Mentorship differs a lot from coaching. A coach has his own game plan and tells you what to do (even at your own cost) to achieve his goals. You have to practice frequently and he is the driver to achieve. A mentor however, is a person that gives you advice on how to achieve your own goals and dreams. You determine the frequency and pace of your interactions. Do you have a mentor? In my younger days I watched the captains of industry and tried to engage with them as frequently as possible. I even had a list of questions to ask them. Today, I have a longstanding relationship with them and can phone them as frequently as I wish for some advice. Teachability is a great gift. Your openness to advice of others will deliver great dividends in the long run. If you act as a mentor for others, remember to focus on how you can assist them to achieve their goals in life, not your own. Grain SA has worked very hard this year to open up financing facilities for the new era commercial grain farmers. I am confident that the little streams that started to flow will become small rivers and eventually big rivers. We are encouraged to see new institutions such as input suppliers taking on risks to assist our farmers. This is a space the Commercial Banks have avoided thus far. The concept of having a title deed to access crop finance is definitely busy getting through to Government. More so the concept of crop finance without a title deed. This is good news for all of us! Currently there are serious discussions between the funders (Maize Trust and Winter Cereal Trust) of the Farmer Development Program and Grain SA. Funding for the program in its current format is secured till September 2016. There might be some changes in future, but the services to you as farmers will be maintained. Grain SA will do its utmost best to ensure that the quality and continuation of the services to you will remain in place. I want to conclude with a comment on a quote from a lady farmer in Mozambique published at the end of May 2015: “It becomes easier for us to beg and get aid. It’s harder to farm ourselves.” Perseverance and the will to overcome difficulties are in the DNA of every grain farmer – let’s keep it that way. Grain SA will be there right beside you to help. Foreign aid cannot be the answer. This month's edition of The Corner Post was authored by Jannie de Villiers, CEO of Grain SA.